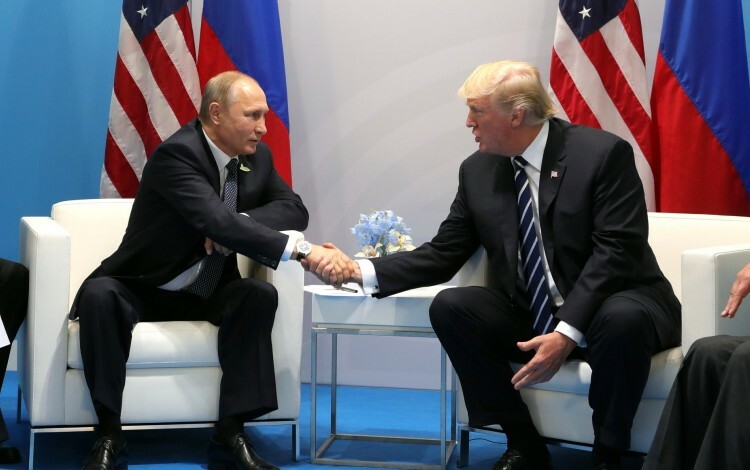 The 16 July Helsinki summit between US President Donald Trump and Russian counterpart Vladimir Putin is generating considerable anxiety in Ukraine. Many Ukrainians worry their country could become a pawn in a “grand deal” between the two superpowers. These concerns are partially rooted in the US leader’s habit of voicing opinions on Ukraine that closely echo official Russian narratives. The latest example of President Trump’s Kremlin-friendly Ukraine messaging came during the recent G7 summit in Canada. According to a report published by BuzzFeed quoting two unnamed diplomatic sources, the US President took advantage of the opportunity presented by the traditional G7 dinner to justify Vladimir Putin’s takeover of Ukraine’s Crimean peninsula. The BuzzFeed report quotes him telling his G7 colleagues that Crimea was Russian “because everyone who lives there speaks Russian.” He also allegedly questioned the democratic world’s continuing support for Ukraine, accusing the country of being “one of the most corrupt in the world”. Both these positions are central to the Russian narrative on Ukraine, which seeks to rationalize the takeover of Crimea by referencing Russian kinship, while at the same time dismissing Ukraine as a failed state. Russia has every reason to promote such claims, but President Trump’s possible motives are far more troubling. Despite having unfettered access to some of the finest intelligence briefings on the planet, he would appear to prefer geopolitical analysis from alternative sources that tally closely with the Kremlin. The US leader’s recent alleged comments equating Ukraine’s Russian-speaking population with Russia itself are straight out of the playbook used to justify the Kremlin’s attack on Ukraine. From the very start of the Russian invasion in early 2014, Moscow claimed to be acting in defense of Russian-speaking Ukrainians. As Russian troops fanned out across Crimea and seized control of the peninsula four years ago, the Kremlin media broadcast all manner of tall tales about trainloads of Ukrainian nationalists and phantom fascists heading south to oppress Russian-speaking Crimeans. It was the same story in eastern Ukraine, where Russian hybrid forces launched the current conflict while portraying themselves as the saviors of a Russian-speaking population allegedly facing imminent destruction. Lurid and entirely fabricated stories broadcast in Russia and promoted by the Kremlin internationally spoke of a “genocide” of Russian-speaking Ukrainians. These claims never enjoyed much credibility beyond the alternative reality world of the Russian media and have long since dropped off the mainstream radar. Nevertheless, the portrayal of Russian-speaking Ukrainians as being essentially Russian rather than Ukrainian clearly still resonates with President Trump himself. It is hard to imagine anyone reaching such a conclusion without outside encouragement, least of all the leader of a nation like America that still speaks the language of its former imperial overlord. Indeed, the entire notion of language as an indicator of political allegiance makes no sense in a world where Spanish, Arabic, English and numerous other international languages including Russian cross borders apolitically. Even if we selectively applied President Trump’s apparent belief in the political significance of language to Russian alone, it would raise enormous question marks over the status of the multi-million strong Russian-speaking populations of Israel, Germany and America itself, not to mention the entire former Soviet Union. This raises awkward questions over why President Trump would makes such claims about Ukraine when the only other people doing so are the Russians themselves. Perhaps the most emphatic response to President Trump’s assertions lies inside Ukraine itself, where the rise of Russian-speaking patriotism has been one of the defining themes of the country’s resistance movement. From the very first days of the Russian invasion, Ukraine’s Russian-speakers have lined up to denounce the Kremlin and reject Russian offers of protection as both unnecessary and unwelcome. When the invasion expanded from Crimea to mainland Ukraine in spring 2014, Russian-speaking Ukrainians were at the forefront of a grassroots mobilization as makeshift volunteer battalions sprung up to defend the country. Ukraine has since created one of Europe’s largest standing armies with native Russian-speakers still making up a majority of troops. This pattern is also evident among Ukraine’s military casualties, with the highest burden falling on the traditionally Russian-speaking city of Dnipro. Away from the frontlines of the conflict and the headlines of the infowar, the myth of Ukraine’s pro-Kremlin Russian-speakers never really needed debunking at all. While Russian remains the street level lingua franca in most Ukrainian towns and cities, no sensible Ukrainian would interpret this as an expression of geopolitical sympathies, any more so than an English-speaking Irishman would come under suspicion of sympathizing with the British. The Ukrainian capital city itself offers the most striking example of the apolitical status of language in modern Ukrainian society. While the Ukrainian language is commonplace on the streets of Kyiv, Russian is by far the dominant language of day-to-day city life. 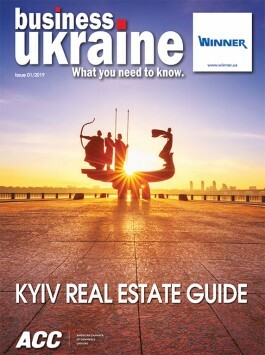 This makes Kyiv the largest Russian-speaking city in the entire world outside of Russia itself. Speaking Russian has not prevented the residents of the Ukrainian capital from forming the vanguard of the country’s two patriotically driven post-Soviet revolutions. The language of both Maidan movements was overwhelmingly Russian, just as it is in the trenches of eastern Ukraine today. Statements attributed to President Trump suggest that he does not appreciate the linguistic and national identity nuances of today’s Ukraine. Instead, he seems to find Kremlin talking points more persuasive. This does little for his credibility. The US leader frequently dismisses the ongoing investigations into his alleged Russia ties as “fake news”, but he does not help his case by repeating Kremlin propaganda narratives on Ukraine. If President Trump genuinely wants to resolve the conflict in Ukraine, he should consider coming to Kyiv and gaining some first-hand experience of this Russian-speaking and proudly Ukrainian city. He could meet with Russian-speaking Crimean Tatars living in exile from their occupied homeland, and visit Russian-speaking soldiers recuperating from their wounds in Kyiv’s military hospital. Alternatively, he could try listening to his own advisers, who are in no doubt over the nature of the conflict in Ukraine and the responsibility Russia bears for invading, occupying and annexing their neighbor’s lands. During the coming Helsinki summit, Putin will doubtless present Trump with his own version of events while telling him that Russia’s objectives in Ukraine are entirely justifiable. Based on Trump’s previous record, the great fear in Ukraine is that the US leader will not need much convincing.